Amazing to be inside the biggest temple (complex) in the world! 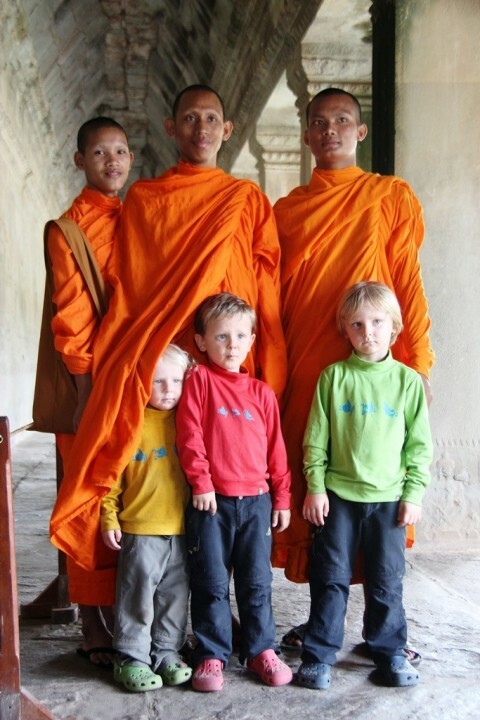 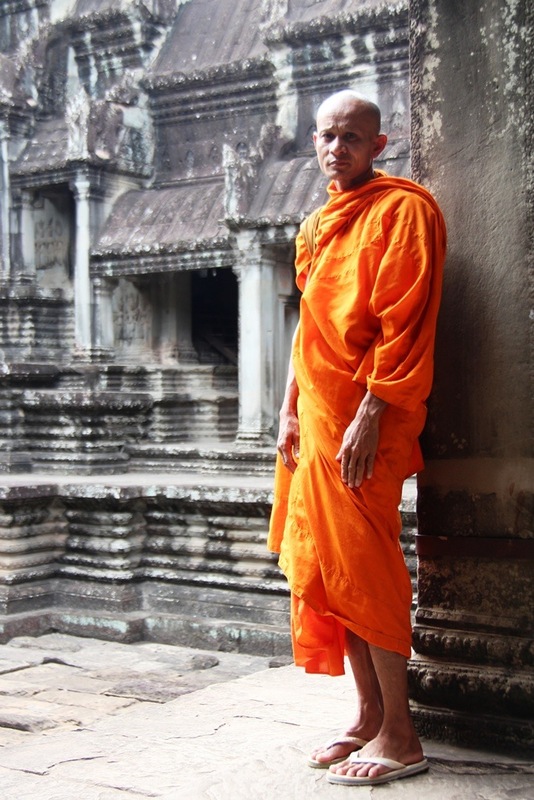 Stunning colour contrast – whoever decided on the colour of the monks’ robes really knew what they were doing to create such a glow in the darkness inside the temple! 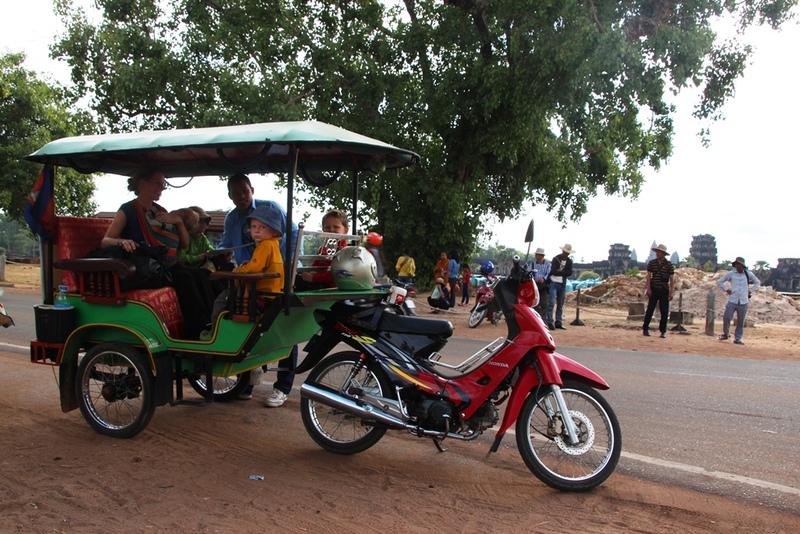 The boys loved riding in this Motorbike Tuk Tuk – especially as our driver wore a helmet and the bench was covered in fabric embroidered with elephants. 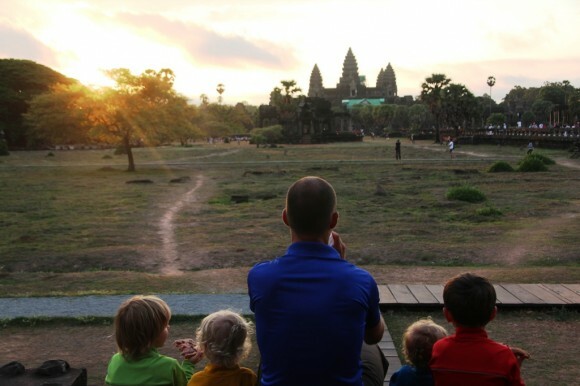 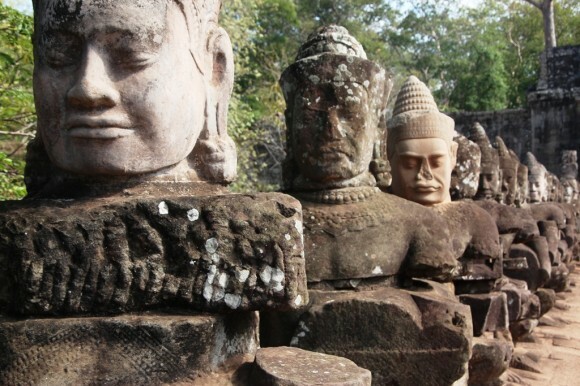 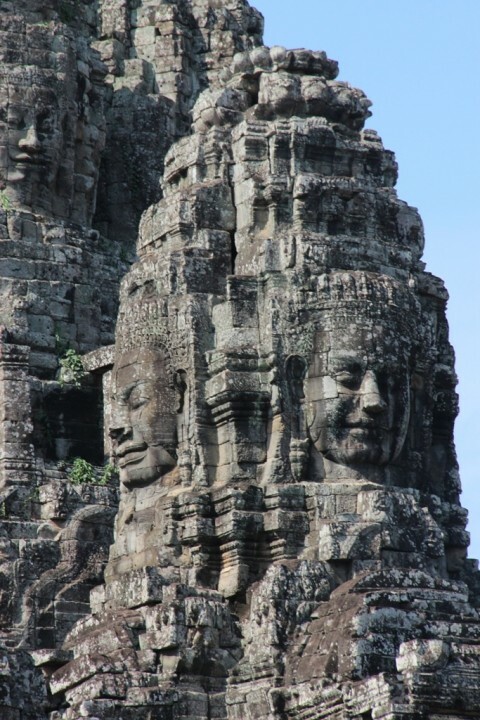 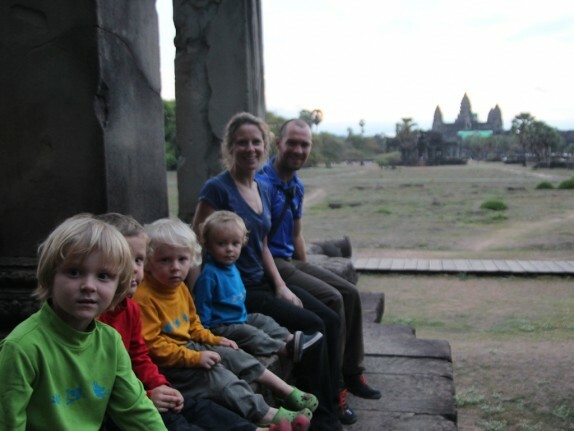 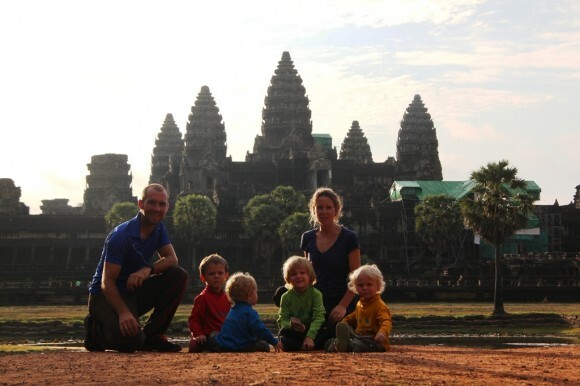 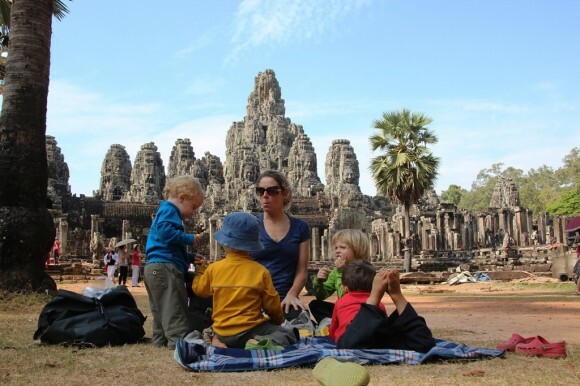 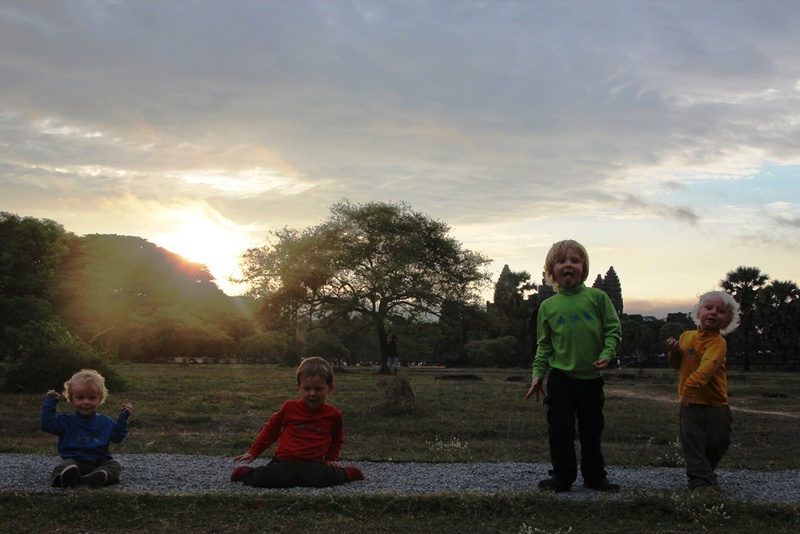 The south gate leading to Bayon – a magnicient entrance and a flavor of what’s to follow. 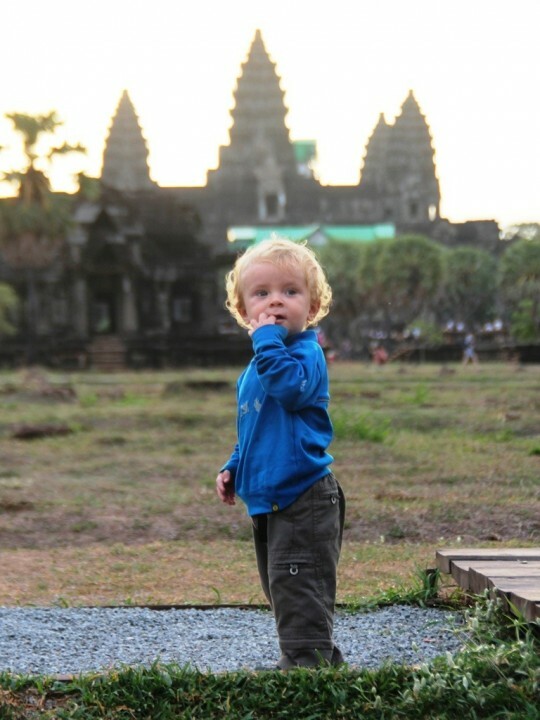 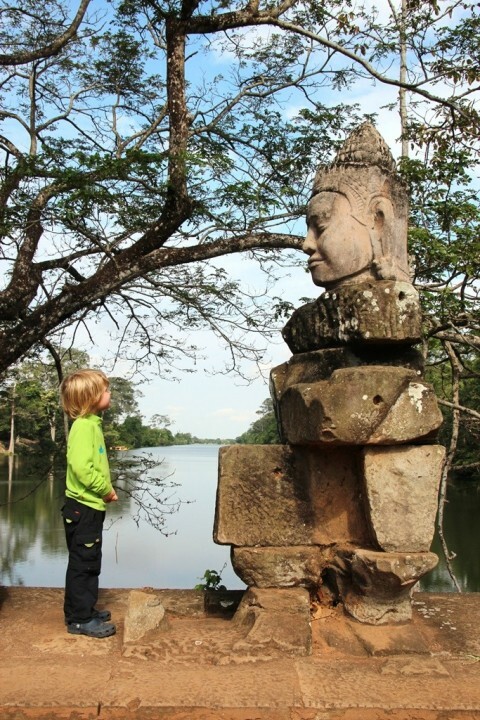 Moses courageously chatting to one of the funny faces at Angkor’s southern gate. Many towers with stone faces make an incredible structure. 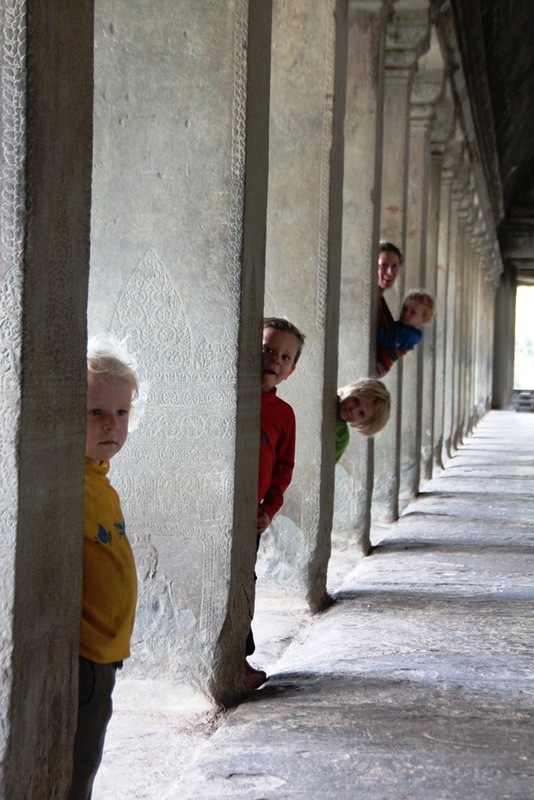 Despite this the Asian tourists still seemed to take as many pictures of us! Did an elephant almost step on your toe! 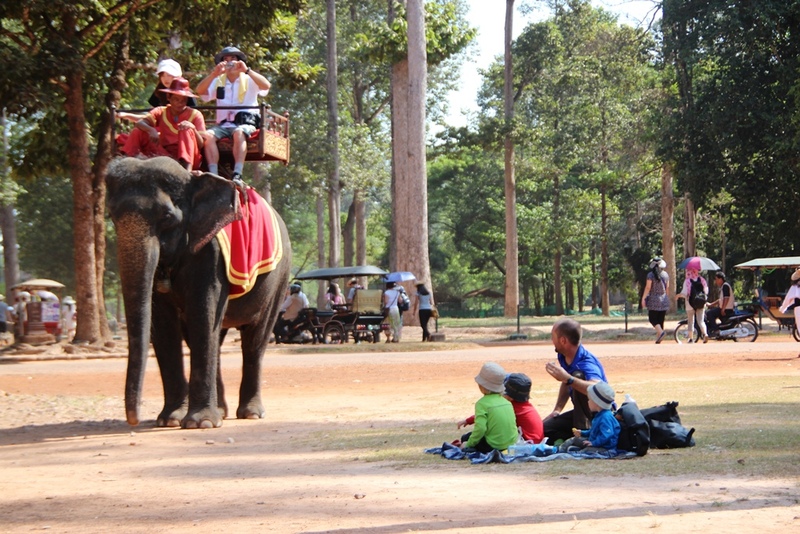 Huge queues curbed our enthusiasm to get a ride.